In this week’s crisis over Kirkuk, Iraqi Kurds are experiencing a painful version of Newton’s Third Law: In Middle East politics, as in physics, every action creates an equal and opposite reaction. The initial action was Kurdistan President Masoud Barzani’s decision to push ahead last month with a controversial independence referendum, despite strong warnings from the United States, Turkey, Iran and the central government in Baghdad that the Sept. 25 vote would backfire. 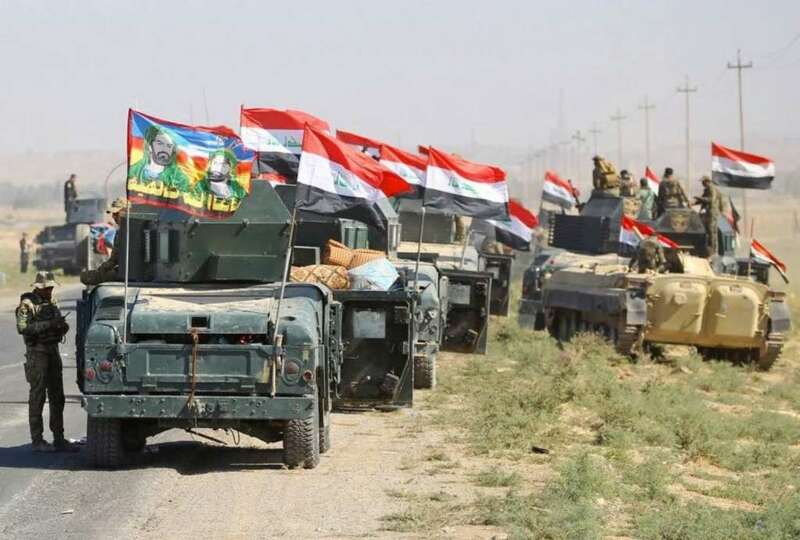 The counter-reaction came Monday, as Iraqi troops, backed by Shiite militias, took control of a key military base and oil fields in the region around Kirkuk, an area controlled by the Kurdish peshmerga militias but claimed by Baghdad. For the United States, it was a dilemma of watching one friend make a damaging mistake, and another friend retaliate. Barzani’s allies have argued that Iran is secretly orchestrating the Kirkuk confrontation. But a US official closely involved in policy described that allegation as “misinformation.” While Tehran and its Iraqi allies may have encouraged Iraqi Prime Minister Haider al-Abadi to move on Kirkuk, US officials said that it was Abadi’s decision — and that he would have faced heavy Iraqi opposition if he hadn’t responded strongly to the referendum and its breakaway bid. Having cautioned Barzani against the referendum, US officials were peeved when he went ahead anyway. Secretary of State Rex Tillerson on Sept. 29 criticized the “unilateral” vote and said its results “lack legitimacy.” Prior to the balloting, Tillerson had proposed an alternative “road map” for discussions to resolve tensions between Baghdad and Irbil, but this last-minute appeal was rejected, US officials say. The Kurdish miscalculation has had unfortunate consequences. But sometimes in the Middle East, mistakes open the way for new discussions, and US officials hope this will be the case with the Kirkuk crisis. US officials were working Monday to establish joint security measures to reduce tensions near the Kirkuk oil fields, so that production can continue, and to share information on the ground and counter inflammatory reports that could escalate the conflict. Officials hope these initial military and intelligence contacts will be a prelude to a broader political discussion involving Barzani and Abadi. “The US wants to be an honest broker between the two,” said one senior US military official. He warned that if tensions aren’t resolved soon, the confrontation could undermine the joint Iraqi-Kurdish stand against ISIS, which has seemed to be entering its final stage. “This could consume a lot of energy and cause us to lose momentum when we’ve got ISIS on the run,” the senior official said. Iran may not be pulling all the strings in Iraq, but it has a decisive presence there and will benefit from the confrontation between Abadi and the Kurds. That’s the unfortunate irony of the Kirkuk clash: In a week when the Trump administration was trying to launch a new campaign to counter Iran’s regional behavior, US officials must struggle to extinguish a sudden flare-up between the United States’ two key partners in Iraq — one that’s all the more frustrating because policymakers in Washington saw it coming.